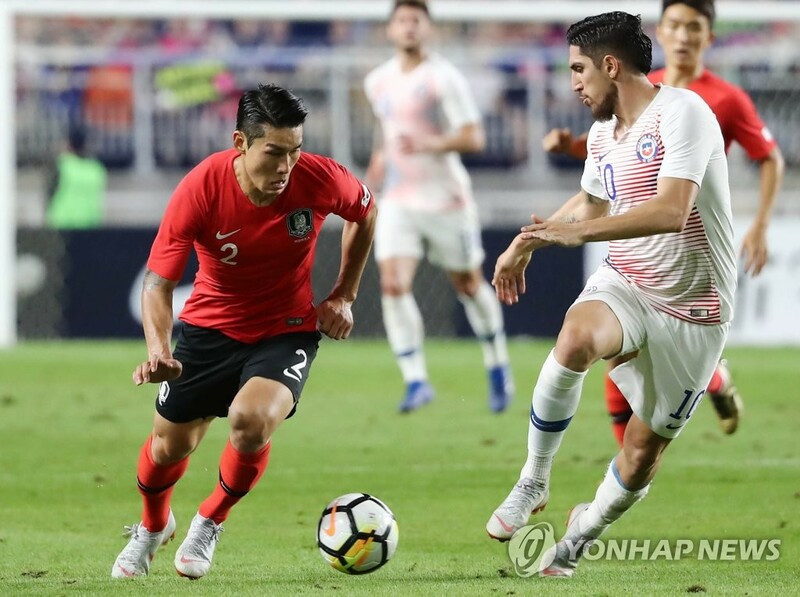 PAJU, South Korea, Oct. 10 (Yonhap) -- South Korea national football team right back Lee Yong on Wednesday lamented the absence of Luis Suarez in their friendly match against Uruguay, saying he really wanted to face the FC Barcelona star at home. Lee is one of the 25 players selected for South Korea's friendly matches this month. The Taeguk Warriors will host Uruguay in Seoul on Friday and will take on Panama in Cheonan, South Chungcheong Province, four days later. Suarez didn't travel to Seoul with the Uruguayan team because his wife is expecting their third son. "It's pity that he is not coming," Lee told reporters at the National Football Center in Paju, north of Seoul. "Personally, I really wanted to play against world's top-level striker." The 31-year-old, who plays for the K League 1 side Jeonbuk Hyundai Motors, said South Korea are preparing thoroughly for the match against Uruguay under head coach Paulo Bento's guidance. South Korea have yet to beat Uruguay, collecting one draw and six losses in their seven previous meetings. "In our last friendly matches, Bento just explained the big picture of his tactics," he said. "But this time, we're preparing in detail. In our buildup process, he is giving directions on the ways to start our attack." Lee said Bento is emphasizing to the players that they should compete with confidence. "Bento is telling us to make passes with confidence," he said. "He is also telling us not be intimidated." Lee, who was South Korea's starting right back at the 2018 FIFA World Cup, said Bento is also asking full backs to play more aggressively. "I'm trying to play the ball to help our attacks," he said. "I like this attacking style of play."